Heeft u een vraag voor White Dragon Palace B & B? Voor reizigers die komen voor de bezienswaardigheden van Liuqiu, is White Dragon Palace B & B een perfecte keuze. Vanaf hier kunnen gasten genieten van eenvoudige toegang tot alles wat de levendige stad te bieden heeft. Dankzij de praktische locatie liggen alle belangrijke trekpleisters in de buurt van het hotel. Profiteer van de ongeëvenaarde dienstverlening en voorzieningen in dit hotel in Liuqiu. Terwijl u verblijft in deze geweldige accommodatie, geniet u van faciliteiten als parkeerplaats, fietsverhuur. Aanvullend beschikken alle gastenkamers over een variëteit aan voorzieningen als plasma tv, draadloos internet (gratis), airconditioning, bureau, internet (gratis), om zelfs de meest veeleisende gast te tevreden te stellen. Daarnaast garanderen de talrijke recreatieve mogelijkheden dat u zich tijdens uw verblijf kunt vermaken in het hotel. Wat de reden van uw bezoek ook is, het White Dragon Palace B & B is een uitstekende keuze voor uw verblijf in Liuqiu. Our stay was pleasant, unfortunately, the host can't speak English so basic Mandarin would be needed. I am sure body language would be fine. Very close to a great snorkeling spot where ypu are likely to see the Green Sea Turtles, really spectacular. The hotel is located on the port: perfect upon arrival. The hotel is rather old though. I think they are redoing the place, which is not a luxury. Upon arrival, we were offered a room with view on a blind wall but a recent bathroom. Because of the lack of daylight, we asked to transfer to another room and were immediately given a room in front. The room was small but fine (beds were ok) besides lack of storing space but the bathroom was very very old and not very clean. The owner was not very friendly or helpful. There was a problem with our booking so that was maybe why. There was also an old lady who did give us a faint smile and tried to help us when we approached her with a question. Breakfast was ok; it consisted of a take out sandwich (which was very tasteful) and milktea. The boss and his mother are very nice. I had a really nice and relax stay here. Also, there is a very good balcony to watch the fantastic sunrise! Not bad, right on the harbour so it's really easy to get to, right off the boat. Room was ok, little bit old but there was a new tv. Had a harbour view room, but there's a shared balcony right outside the window which was a little strange. Ok for the price and the room was fine really, no real complaints. The hotel is within walking distance to ferry terminal, hence very accessible. However, building and room are rather old. In comparison to my friends' hotel, this booking does not include ferry tickets and scooter rental. Very convenient location, but facilities are quite old. This is the lowest price you can get from Agoda. There are hundreds of other small hotels on the island. 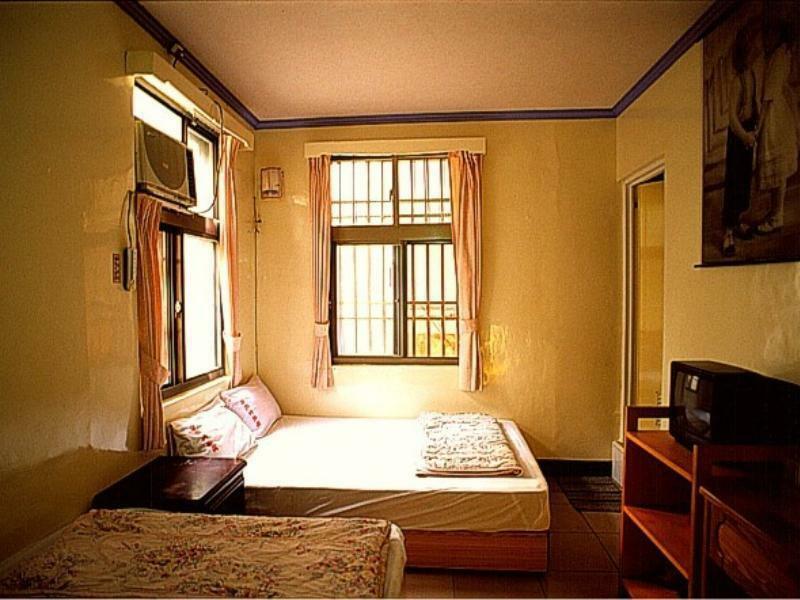 The cost is around NTD 2000-3000 per night. But need to book through their own website's contact number. The woman running the hotel; the location; it has air conditioning in the rooms. The woman running the hotel was great. When she offered me the breakfast and breakfast drink included in the price, I asked which was coffee. She shook her head no and left. She jumped on her motor scooter and rode to the 7-11 to get me a coffee! The next morning, my coffee was ready with the unrequested, but kindly thought of, American-style egg sandwich breakfast. She also helped me rent an electric bike. All this was done with smiles, gestures, and Google Translator as I speak no Chinese and she no English. Oh, and she gave me free cold waters and an ice cream bar. Very, very nice. We got the last room of this B&B, and it turned out to be a storage room. Although the room was a bit messy and full of stuffs, bath tub was not probably connected so water was all over the floor when taking a shower, I still think it's acceptable as I booked it at last minute which left me with not many options. All other rooms should be much better and I would still come back and stay at this place next time. The lady that runs the place was great. Great location. Clean room. This island is a great place for diving. It is very local and therefor there can be a lot of issues with language if you don't speak and Chinese. That said, this hotel was great for the price and location. The family that runs it was very nice and the lady would not stop giving us fresh fruit. It is located right at the harbor (the only way on and off the island) and near the center of the small town. When it comes to the room itself, it was nice. Small and clean with A/C, a fan, and a nice TV. The bathroom was a traditional Taiwanese style bathroom, clean and worked well. Overall I would stay again. 1.You can get there only 5 min walking from the ferry.2.Good price for the great room with the window looking the sea.3.the owner invite us to night tour to see this alive island.